In today’s rumor rundown, the Toronto Maple Leafs aren’t just having to figure out their contract situations with William Nylander, Auston Matthews, and Mitch Marner, they have a serious situation with Jake Gardiner that requires their attention. 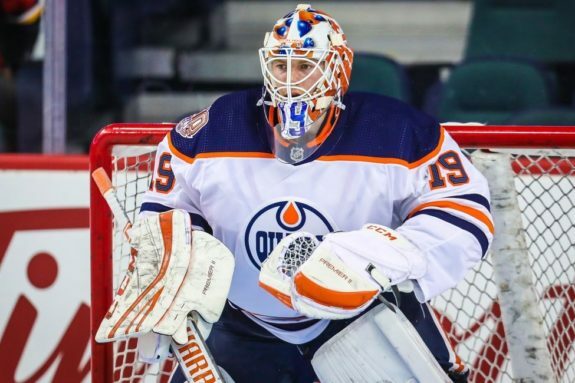 Elsewhere, it was discovered Edmonton’s newest netminder has a no-move clause which might have affected the Oilers decision to move Al Montoya and are the Anaheim Ducks primed for a major roster shakeup? One insider seems to think so. 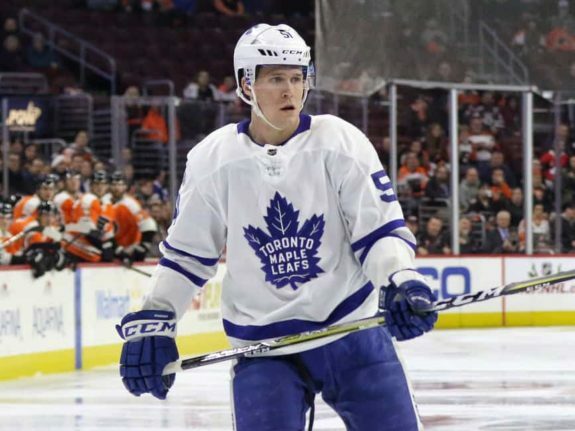 On TSN Insider Trading, there was some discussion on what the Toronto Maple Leafs will do with defenseman Jake Gardiner. Darren Dreger commented on what Gardiner might be looking for in his next contract and whether or not the team would be able to fit him in. Dreger said, “Jake Gardiner is coming off a career year of 52 points. If he were to equal that or better that this season, he’s going to command as an unrestricted free agent in the high sixes, or the low sevens (in terms of millions) so dialogue between the Toronto Maple Leafs and Jake Gardiner is expected to get underway in the next several weeks.” This would be a good news and bad news situation for the Leafs. A career year by Gardiner is great for the Leafs production but terrible for their cap if he commands a huge dollar figure. It poses an interesting question: Do you give a $6.5 million salary to Gardiner or Nylander? You probably can’t have both and if you can’t, who do you choose? So far in the preseason, the Leafs are showing how much they don’t need Nylander’s offence. Also, the agent for Mitch Marner, Darren Ferris acknowledged in an interview on TSN 1050, that the Leafs and Marner’s camp have started discussions on a new deal. Ferris said, “We’ve had some very productive discussions so far and if nothing’s done by the start of the season, then we’ll wait until next summer and we’ll get back at it again.” Kevin McGran of the Toronto Star said, there are some that believe Marner could be seeking $10 million per season. He also added Auston Matthews could be looking for upwards of $13 million. It was discovered by Radio Analyst Jason Gregor, during a conversation with Oilers GM Peter Chiarelli that the Oilers gave backup netminder Mikko Koskinen a no-move clause when they signed him as a free agent this summer. It is being speculated that this was the cost of acquiring the player, along with the higher salary of $2.5 million for one year. There were plenty of teams interested in Koskinen and the Oilers had to shore up their backup goaltending situation. Fortunately for Edmonton, after a shaky start in two preseason games, Koskinen came on and by the end of his second game looked better. Even though he let in a weak goal in his last game, the rest of his outing that night was fantastic. Chiarelli believes this is just Koskinen getting used to the ice, the North American game and things will settle in, but it does speak to why Al Montoya was sent to the minors when Koskinen was the player who didn’t require waivers. It sounds like the Oilers and Koskinen’s agent have a handshake agreement in place that if Koskinen struggles, he would be willing to move down to the AHL for some time to get his game going. In other Oilers news, it appears both forward Alex Chiasson and defenseman Jason Garrison might have earned themselves contracts coming off of PTO’s. Garrison comes as the biggest surprise considering not many people thought he had the speed to still be a regular contributor in the NHL. James O’Brien from NBC Sports writes the Ducks could be primed for a major roster shakeup this season. He points to the fact that the team will be without Corey Perry (knee surgery) for five months, Ryan Kesler is banged up and there’s no telling how much of the season he could miss and Ryan Getzlaf is hitting a point in his career where his playing minutes should decline. One area the Ducks likely wouldn’t change is their young blueline corps and goaltending. O’Brien hints that the Ducks might watch for budget teams wanting to shed salary to be in discussions with Anaheim throughout the season. The challenge is how the Ducks will be able to trade any of their aging veterans considering the size of their salaries and respective no-move and no-trade clauses.